Essay is a literary piece that involves creativity and writing skills. This is one the most common assignments students get when studying in universities or colleges. 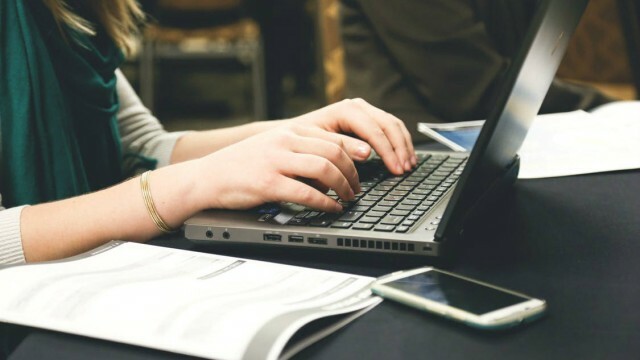 In this article, we have gathered core tips on how to write an essay from professors, recent graduates of higher education entities, and professional academic writers. 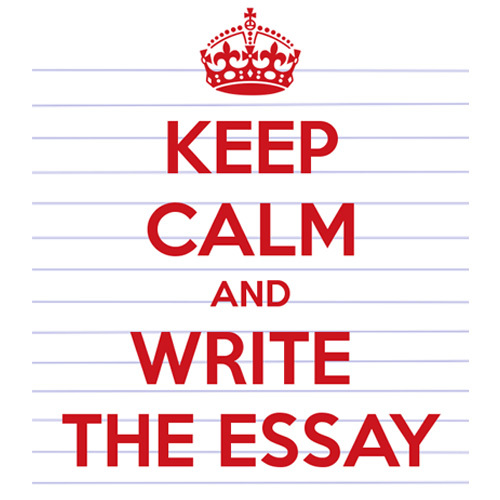 Keep reading to find out various types of essays and peculiarities of writing each of them. When hearing a term “essay”, many people assume that it is an ordinary written work. However, it is not the case. Essay is a prosaic literary genre. Translated from French, it means “sketch”. An essay reflects individual experiences of an author, his views on a particular issue. It does not provide an exhaustive answer to a specific question but reflects one’s own opinion or impression. Style of information presentation is more focused on conversational. When writing this type of work, one’s logic, ability to argue one’s opinion and present information are developed, and for this reason, most college students are required to write it. Presence of specific topic or issue to be considered. Writing is devoted to an analysis of wide range of problems cannot be performed in this genre by definition, Expression of individual impressions and considerations on a particular occasion or issue. Such writing obviously does not try to define or provide exhaustive interpretation of a given subject. It assumes a new opinion about something; such work can have a philosophical, historical-biographical, journalistic, literary-critical, scientific-popular or purely fictional character. In an essay’s contents, an author’s personality, his worldview, thoughts, and feelings, are first and foremost presented to the audience. This genre has become popular in recent years. This genre was introduced by M. Montaigne (“Experiments”, 1580). Today, these types of assignments are common. It is one of the main components upon admission to an educational institution or a job. An essay contest helps choose some very best student from a variety of applicants. The way a candidate manages to present himself, how he describes his achievements and misses, allows examiners to determine whether this person is good enough for them, whether his experience is sufficient and whether he will justify hopes in near future and will be able to bring benefits. Descriptive. This type is usually used to introduce readers to some novelties in home appliances, cars, fashion or another field. With help of description, it is easy to tell readers how to solve this or that vital task in practice. Causal. For such a piece of writing, one phenomenon is taken, and all the consequences to which it resulted are considered. You can consider old equipment of a planting to be cause a of environmental pollution in particular area. You should consider all possible consequences of operation of this equipment: its impact on health of workers and people living nearby, on flora and fauna, on manufactured products, etc. You can also consider a variety of reasons that led to same effect. Comparative. This type of writing involves making comparisons of several objects or different opinions. Conclusions in such a work are made depending on the purpose of comparison. If you compare several types of lawn mowers, then, in the end, you can give recommendations on their use for cutting lawns of different types. Concept. This kind of work is necessary for the consideration of different concepts. You can consider several options for determining same term, disclosed in different sources, comparing them, deriving their own definition on their basis. Here you can also conduct a classification of different concepts. Argumentative. The main task of such writing is to convince readers in some way with help of arguments advanced. In addition to convictions, you can encourage certain actions. For example, you may want to try to convince readers to join a particular organization. Here you should logically build all the available facts about the activities of this organization: describe benefits that it has. Analytical. Defining element of such a work is analysis of a problem. You can try to find out how the performance of a particular artist affected the painting of his contemporaries. Your thoughts will be reduced to analyzing the work or writing literature review of different artists and revealing certain regularities in them. How to start an essay? Order of writing this academic work is usually brought down to three steps. Like any written work, an essay contains an introductory part or an introduction. A well-written introduction makes a reader interested and read your essay to the end. The introductory part may contain the formulation of a problem and its essence, rhetorical question, quotation, etc. It is important to create a special emotional mood and bring a reader to the problem under consideration using good hooks for essays. In the main body, you can evaluate different points of views on the issue under consideration, touch upon the history of the issue, etc. Usually, the body of the text consists of several sub-items, each of which consists of three sections: a thesis (the proposition to be proven), justification (the arguments used to prove initial thesis), and a subpoena (partial answer to key questions). Arguments are judgments expressed to convince a reader of the truth of a particular view. It can be different situations from life, opinions of scientists, evidence, etc. 3. Lastly, conclusions drawn from each thesis presented in the main part are combined. A reader should arrive at a logical conclusion based on the arguments given. In conclusion, the problem is re-introduced, and a final conclusion is drawn. If the goal of introductory part is to interest a reader, then last sentences have to add integrity to overall picture, leave the work in a readers’ memory and push them to reflections. The best essay writing services are different from writing a regular composition if the task is to write an essay, then it is necessary to take into account the characteristic features of genre that distinguish it from the others. Unlike the work in which work of art is analyzed, an essay contains author’s point of view and his position on the problem under consideration. One of distinguishing parts of an essay from a composition is its goal is to surprise a reader, to impress him, using vivid images, aphorisms, and paradoxical statements. Font. If there are no font requirements, it is advisable to adhere to the standard rules: use the Times New Roman font, 12 size, and double spacing between lines. Pagination. In the text, end-to-end numbering is applied. The page number is not displayed on the title page, but when numbering, it is taken into account. Subtitles. In the main part of an essay, subheadings can be used, which can be presented in bold. Subheadings should be written with a paragraph indent, with a capital letter, without a dot at the end of the subtitle and without using underscores. Graphic material. In the main part of an essay, you can present diagrams, tables. All figures and tables are numbered, and their titles are located in the middle of the line (Figure 1 – Name, Table 1 – Title). Name of picture is written under it, and the name of table should be above it. To conclude, we hope that you find this article helpful and you have learned quite a lot about essays. If you have any questions, please leave them in the comment’s section below!